Once again I find myself on the cusp of October, ready to tumble headlong into another chilly November. It’s no reason to worry though because November is National Novel Writing Month (NaNoWriMo)! NaNoWriMo is a global challenge to people who enjoy writing. The goal is to write a 175-page (50,000-word) novel by midnight, November 30. It is not an easy task, but it is one of the most enjoyable things I have ever done. I can’t explain what it feels like to hold a self-written novel in your hand, but I can imagine it falls somewhere close to holding your first born. Last year I wrote a sequel to a story I began writing in 1995. This year I plan to continue that saga. My obstacles are twice as formidable this year. I’m now living in England and taking a total of 80 credits this term. I’m determined though to give it my best go though. I have the opportunity to utilize the inspirations of a fresh location, a conglomerate of new friends and 365 days of pent up ideas. Already I can feel the verbage building up, begging to be let out. Its a incredibly exciting feeling. If you’ve never tried NaNoWriMo before, I suggest givinig it a go. I know so many people who are incredibly talented, but can’t be bothered to pick up a pen or put fingers to keyboard. Don’t be that guy/girl. Don’t argue that you are too busy. Have a bit of confidence in yourself. Strive for something and you just might be surprised. I’ll keep a tally on this site and maybe even leave some clips. And be my NaNoWriMo Buddy! As part of the ICROSS support programme Sophie Ligondo, ICROSS Project manager walks with ICROSS carers and health teams in Nakuru. The event with other partners was to create awareness and advocacy for stigmaticed groups. ICROSS works with many people who have been victims of violence, HIV AIDS patients and those terminally ill.
Our Nakuru projects are expanding throughout the next few months and we plan on reaching even more vulnerable children by early 2009. We have begun work on a new ICROSS project to provide health services in a new area of Maasai land. The clinic will immediately benefit up to 12,000 people from 2,000 homesteads. There is a chronic lack of health access in the area, with many people having to travel 10 -15km to the nearest dispensary. This lack of direct access to health facilities has a short as well as long term negative impact on the wellbeing of these communities, with many children not being able to attend schools due to regular illness and lack of appropriate medical care within their area. ICROSS has mobilized the community to support the undertaking by using local labor and contributions (i.e. raw materials) to help build the clinic, which will be undertaken at a cost of approximately £21,000, including the staff house which will accommodate the resident doctor. The results of building a clinic in this area will be both immediate and long term. Access to local health care and health education will provide immediate aid to those who otherwise would have limited or no access; there will an increase in school attendance for children (the clinic is a short distance from a local school); and we aim to reduce disease within the area and lower the mortality rate from 32% to under 8%. The ICROSS team led by Sarune Ole Lengeny has been working with the community for months planning the exciting new initiative, another locally owned and planned idea. With the help of the Global fund ICROSS will extend its services to new locations presently. ICROSS has finalised the updated five year plan for the International programmes and public health strategy. The five year plan is in line with latest Global health policies and International developments. The Five year plan, which is evaluated and updated regularly has made adjustments in the light of shifts in International markets, the Global financial changes and the latest evidence regarding medical demographics and health priorities. As ICROSS continues to learn and respond to ever changing dynamics, our programme development team has scaled up innovative training and reorganisation. With your help ICROSS continues to strengthen local communities and respond to the poorest of the poor in a creative and fresh set of initiatives. Working with our partners in communities and with the Ministry of health we are working on new low cost responses to the changing needs and challenges facing Africa. The full plan is available for viewing and download here. The first officially sanctioned sale of ivory in southern Africa for almost a decade opened on Tuesday. Namibia, Botswana, South Africa and Zimbabwe will auction more than 100 tonnes of ivory from stockpiles to buyers from China and Japan. The money raised will go into elephant conservation projects. Some environment groups say the sales encourage poachers elsewhere in Africa to kill elephants for ivory that can be fed into the illegal trade. However, data collected by the wildlife trade monitoring network Traffic shows that seizures of illegal ivory fell in the years following the last legal sale in 1999. The secretariat of the Convention on International Trade in Endangered Species (CITES), the UN body that sanctioned the sale, says it will monitor trade in China and Japan to make sure companies are not mixing illegally sourced ivory with these legal shipments. 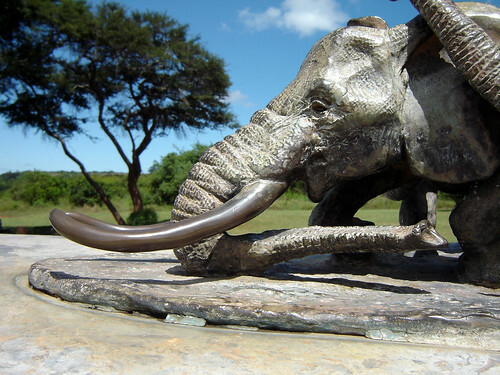 The tusks being sold come mainly from animals that died naturally. China and Japan are not permitted to export the material. The ivory trade was banned globally in 1989 because poaching was decimating elephant populations. This and the 1999 sale are the only exceptions. Last week, the internet site eBay banned virtually all products containing ivory after lobbying from animal welfare groups. The sale was approved in principle in 2002; and at last year’s CITES meeting in The Hague, delegates agreed that enough precautions had been taken that the auction could go ahead, with Japan as the sole validated buyer. Earlier this year, CITES decided that China had acted against the illegal trade with enough vigour that Chinese companies could also bid for a share of the stockpiled ivory. “We implement our international obligations to protect endangered wild animals, and we have always honoured our international obligations,” China’s foreign ministry spokeswoman Jiang Yu told reporters as the auction opened. This is contested by some environment groups, which argue that Chinese controls remain lax. “We are deeply concerned that these sales will open the floodgates to additional illegal trade,” said Will Travers, CEO of the Born Free Foundation. The issue starkly illustrates the divided fortunes of elephants across Africa. In some range states, particularly those in central and west Africa affected by civil unrest, populations are believed to be declining, partly because of poaching. But in southern Africa, decades of protection and management have seen numbers rising by about 4% per year. South Africa has recently approved in principle the use of culling to control populations. 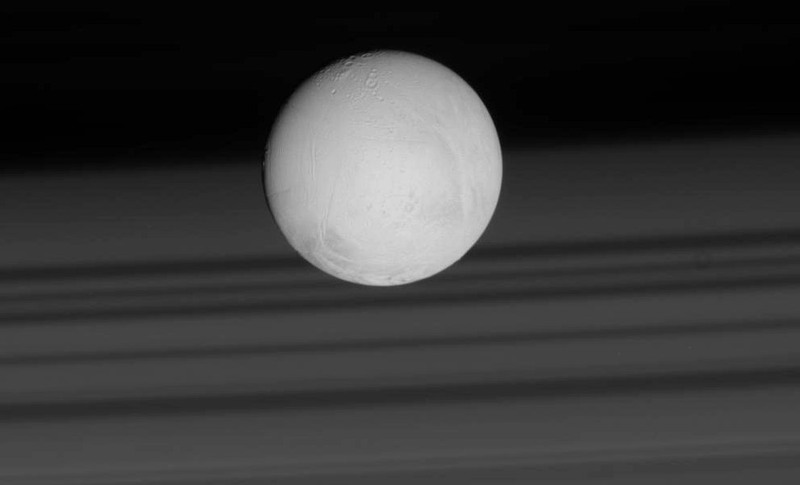 Saturn’s tiny, icy moon Enceladus has recently been visited by NASA’s Cassini orbiter on several very close approaches – once coming within a mere 25 kilometers (15 miles) of the surface. 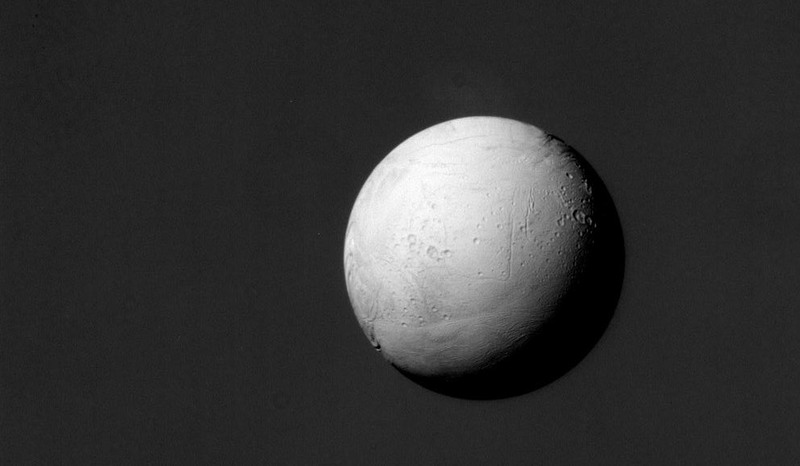 Scientists are learning a great deal about this curious little moon. 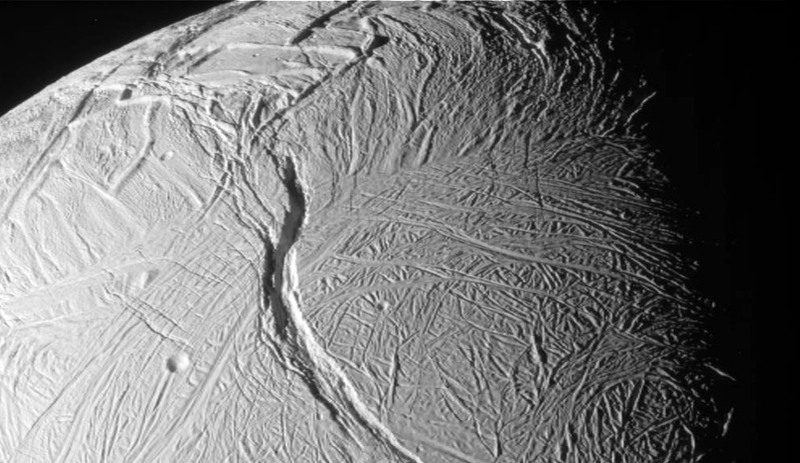 Only about 500 kilometers wide (310 miles), it is very active, emitting internal heat, churning its surface, and – through cryovolcanism – ejecting masses of microscopic ice particles into Saturnian orbit. 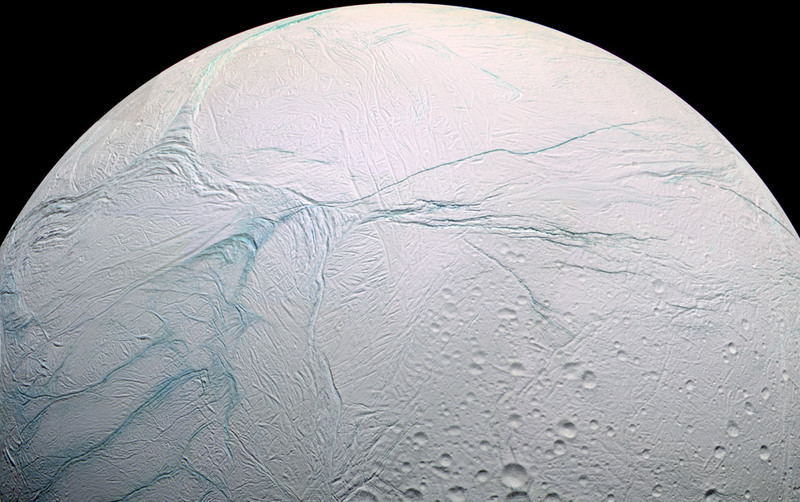 Cassini has been orbiting Saturn for over 4 years now, and has provided some amazing views of tiny Enceladus, some collected here. Another close flyby is scheduled for Halloween, October 31st. The first astronauts sent to Mars should be prepared to spend the rest of their lives there, in the same way that European pioneers headed to America knowing they would not return home, says moonwalker Buzz Aldrin. In an interview with AFP, the second man to set foot on the Moon said the Red Planet offered far greater potential than Earth’s satellite as a place for habitation. With what appears to be vast reserves of frozen water, Mars “is nearer terrestrial conditions, much better than the Moon and any other place,” Aldrin, 78, said in a visit to Paris on Tuesday. It took Aldrin, Neil Armstrong and Michael Collins eight days to go to the Moon — 380,000 kilometres (238,000 miles) from Earth — and return in July 1969, aboard Apollo 11. Going to Mars, though, is a different prospect. The distance between the Red Planet and Earth varies between 55 million (34 million miles) and more than 400 million kms (250 million miles). Even at the most favourable planetary conjunction, this means a round trip to Mars would take around a year and a half. NASA and the European Space Agency (ESA) are sketching tentative plans for a manned mission to Mars that would take place around 2030 or 2040. Based on experience culled from a planned return to the Moon, the mission would entail about half a dozen people, with life-support systems and other gear pre-positioned for them on the Martian surface. Aldrin said the vanguard could be joined by others, making a colony around 30 people. “They need to go there more with the psychology of knowing that you are a pioneering settler and you don’t look forward to go back home again after a couple a years,” he said. Many scientists argue that sending humans to Mars is a waste of money compared with unmanned missions that deliver more science and point out the risks from psychological stress and damage to DNA from fast-moving sub-atomic particles called cosmic rays. Aldrin, though, argued that given the time lag in communications between Earth and Mars, it made sense to have human explorers who could make decisions swiftly and on the spot. On that score, Aldrin said the US space shuttle and the International Space Station (ISS) were a disappointment. The shuttle “has not lived up to its expectations, neither has the space station,” said Aldrin. The United States will be without manned flight capability for around five years after the problem-plagued shuttle is withdrawn in 2010, while the ISS, still under construction, may cost as much as 100 billion dollars, according to some estimates.